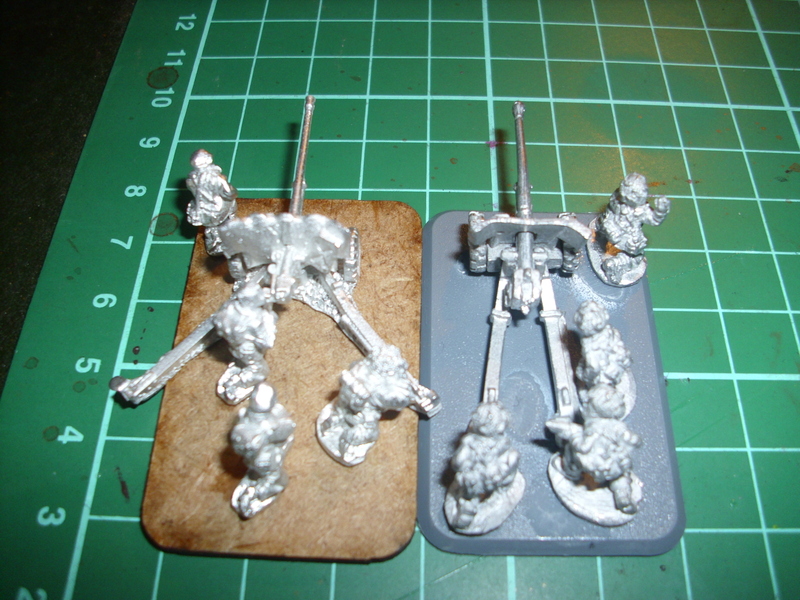 New edition of Blood Axe fan codex is out (if you are interested check Da Klan Project in The Waaagh forum) and as it is allowed in the local tournament scene, I have been busy converting stuff for the tournament at the end of July. One of the things I have to build is Flakk Battery. 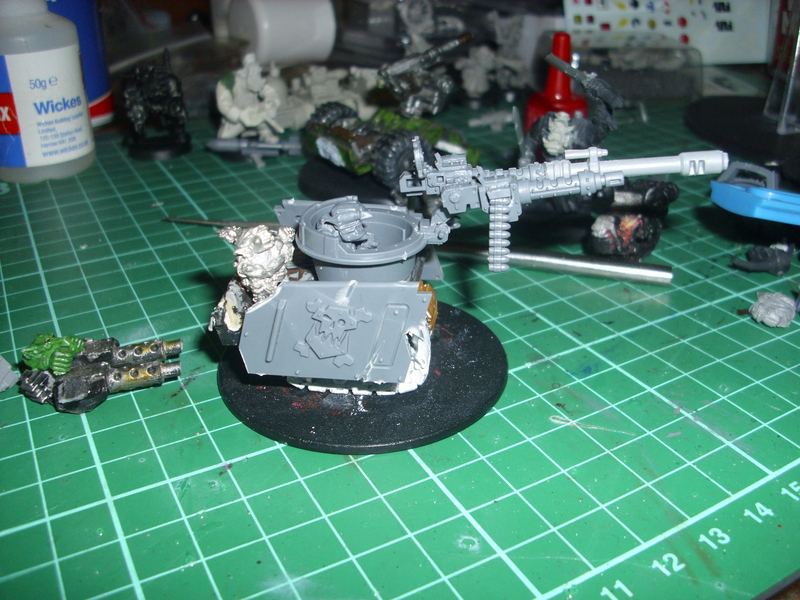 Parts with the gretchin rear turret from dakkajet set seem just made for that kind of project, so I turned it into sort of self propelled Flakk cannon thingy. 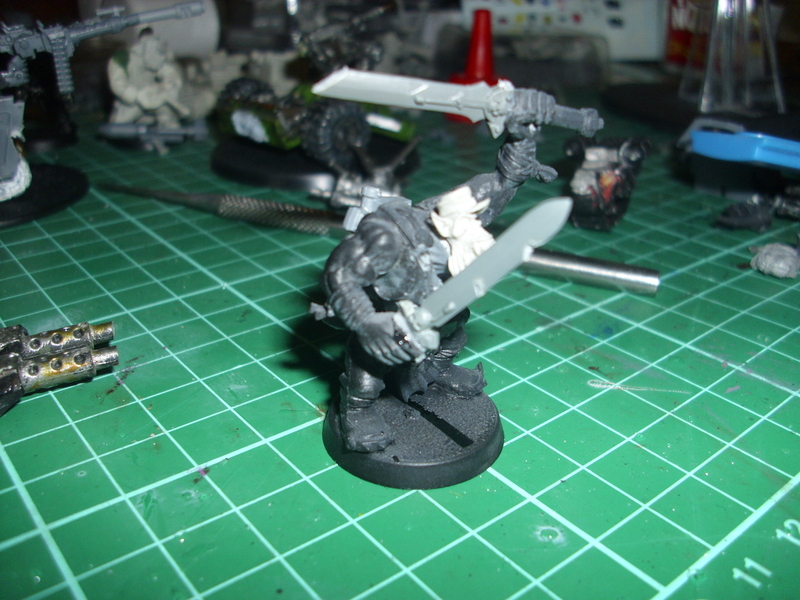 Other thing I quickly converted was kommando nob with kombat knives. I used chaos marine swords for it, but you have to admin in hands of that big Org guy they look like massive knives 🙂 Now two more flakk gunz to build in order to finish my battery and then some crew for it and then just some painting left to do. 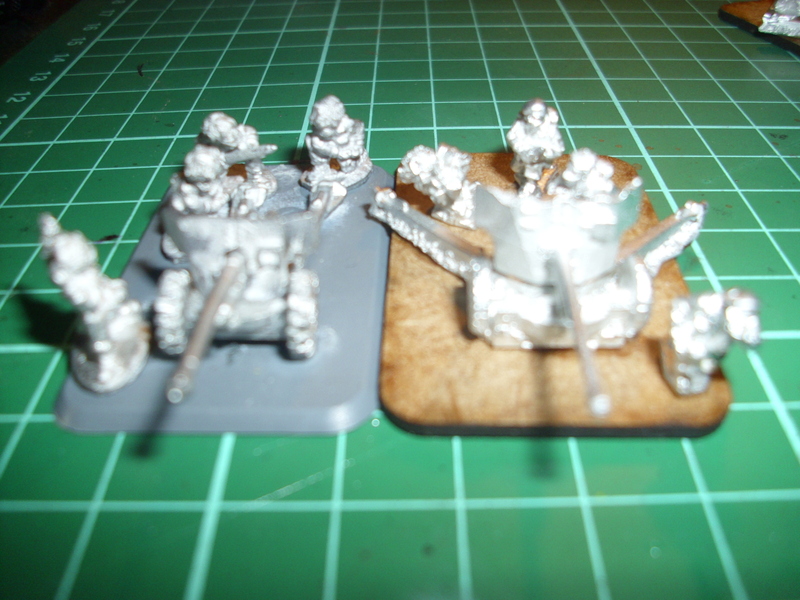 Another of my purchases from this years Salute and I only just got around to assemble it. They come in blisters of 2 guns with crew for £9.75, which is slightly cheaper comparing to Battlefront equivalent. Quality of gun itself and crew is nice, almost no flash and no mould lines to clear, which is always something good in my books. 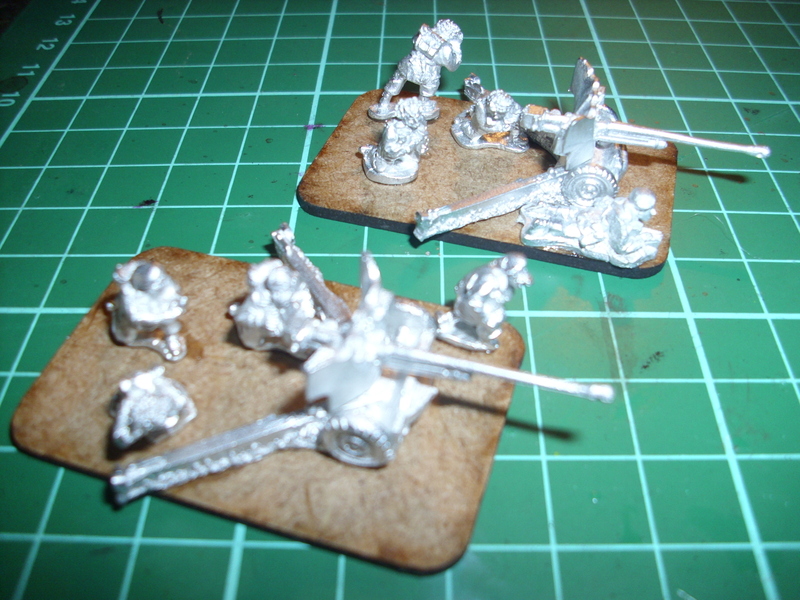 Gun itself is also well cast and compares well size-wise to Battlefront one (6pounder on the grey base is a BF one). Level of detail is satisfying. It is “deployed” position and there is only one version , with few different crew members. Only minor problem is that it doesn’t fit on Flames of War base that well in that particular position, but this is not really a big deal. All in all kit looks really nice and I could definitely recommend it as another good product from Forged in Battle that I have seen.